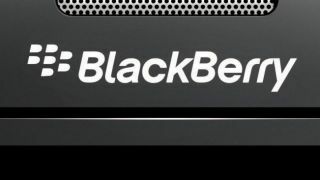 Could this be the saviour of BlackBerry? Could the 'Rio' redeem the ailing brand? After a rocky few years and the interesting but divisive Passport, BlackBerry is in desperate need of a hit smartphone and the newly rumoured 'Rio' could be just that. Revealed by N4BB, a device which is currently codenamed 'Rio' is said to be in the works and it's not just any device, it's apparently a high-end all-touch handset, which would make it the first BlackBerry device fitting that description since 2013's BlackBerry Z30 and arguably the first high-end BlackBerry with mainstream appeal since then too. Sadly the exact specs and design remain a mystery as that's all that's been said about it so far, but it's clear that this will be an important device for BlackBerry and could either be its saviour or cement its downfall. It might be a while before we find out which though, as apparently the device is still in its infancy. Being so early in development there's always a chance that it might be cancelled too, but we hope not and we hope to see it sooner rather than later. The Z30 is over a year old now, so it's due a successor. BlackBerry could still rebuild its status among business users.